India GK Question Sample Paper 106: India General Knowledge (GK) Sample Question Paper No. 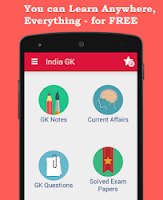 106 with Collection of 20 Question of India GK Questions under GK Quiz in PDF @ India GK Sample Papers. India General Knowledge (GK) and General Science (GS) Questions are also available with Quiz on daily basis. Q.1741 Jitu Rai, who wins gold in 17th Asian Games is associated with which sports ? Q.1742 The concept of Anuvrata was advocated by ? Q.1743 Which one of the following territories was not affected by the revolt of 1857 ? Q.1744 Which one of the following pairs is correctly matched ? 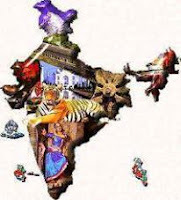 Q.1746 Which of the following countries was divided into two independent republics on the New Year Day of 1993? Q.1747 Which of the following pairs of country and its currency is not correct? Q.1748 The word ‘Hindu’ as reference to the people of Hind (India) was first used by ? Q.1750 Which of the following is the currency of Thailand? Q 1751 Which Telecom Operator is 100% owned by Indians? Q.7754 Which is the highest waterfall in the world? Q.7758 Who is the author of "Gita Rahasya" ?